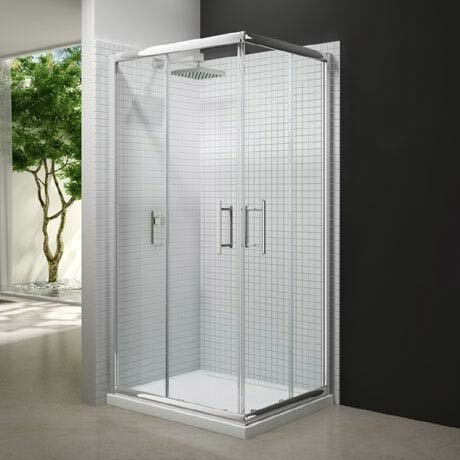 The elegant and functional 6 Series Corner Door Shower Enclosure is perfect for bathrooms where space is limited. The double sliding doors slide back within the confines of the enclosure itself without intruding into the space around it. The enclosure features 6mm toughened safety glass, chrome double handle, easy clean double rollers and comes with Mershield Stayclear easy clean protected glass coating as standard.